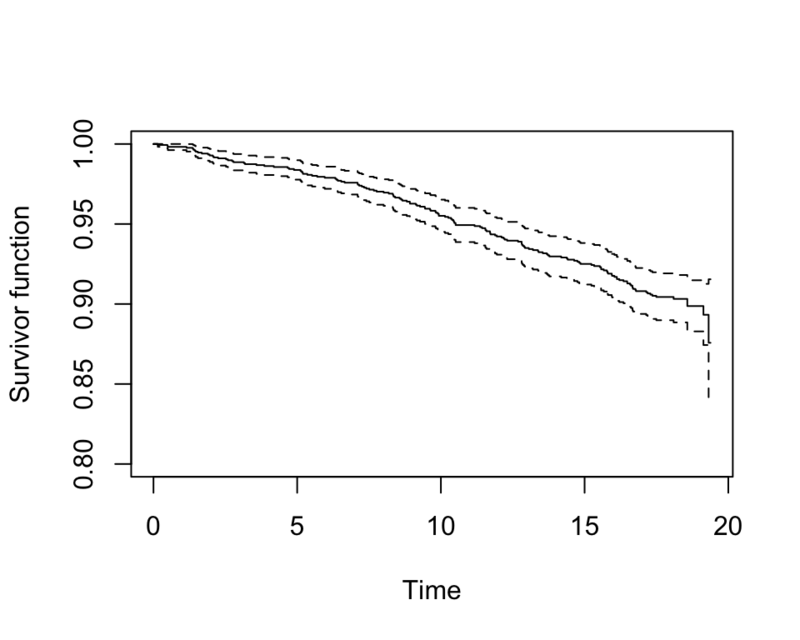 表 72.2: Men with angina: Numbers of deaths \((d_j)\), cencorings \((m_j)\), total numbers at risk \((n_j)\), and the life-table estimate of the survivor function by year. 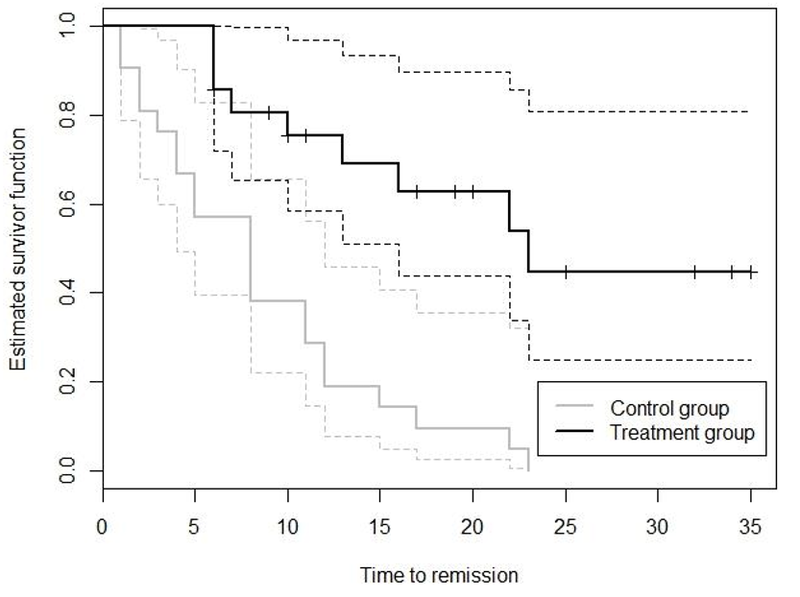 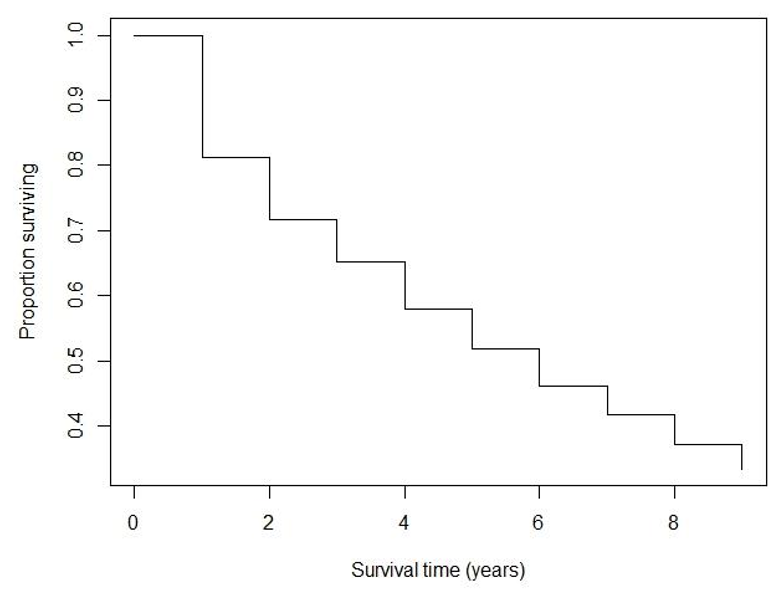 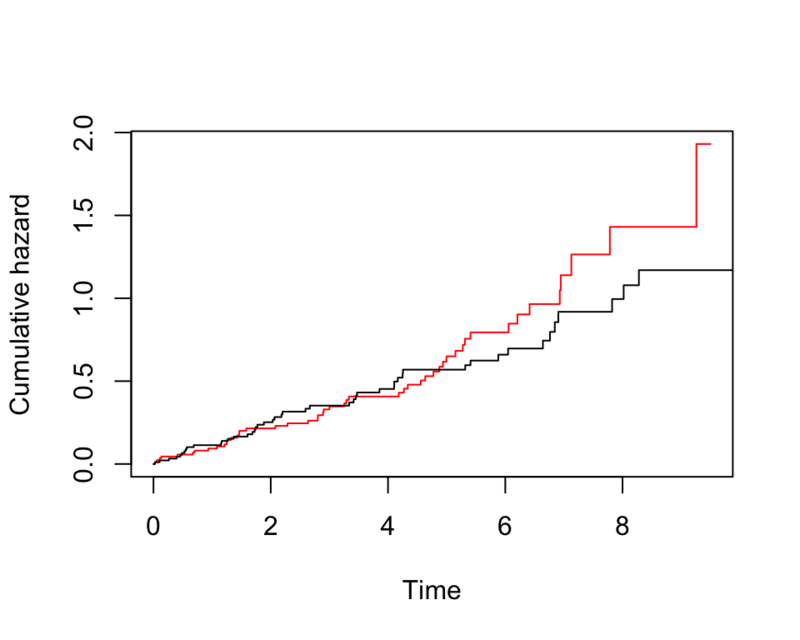 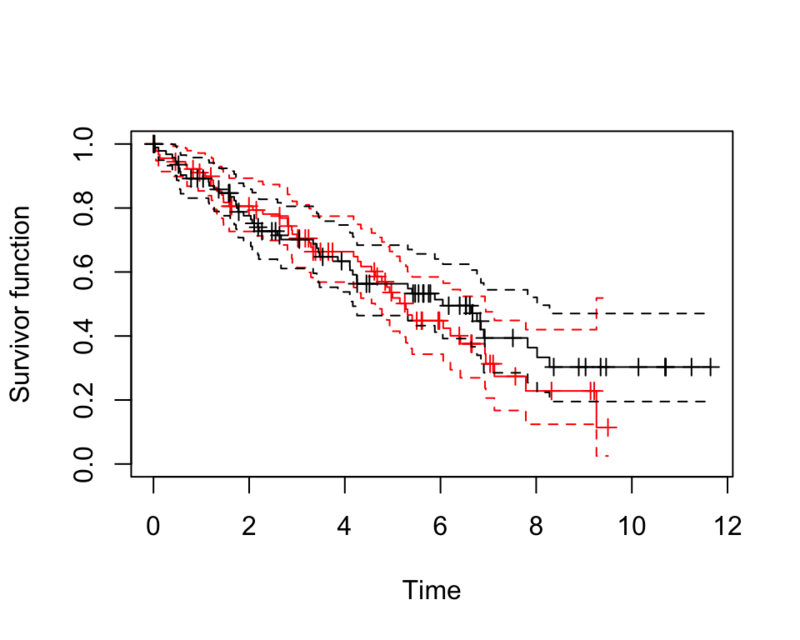 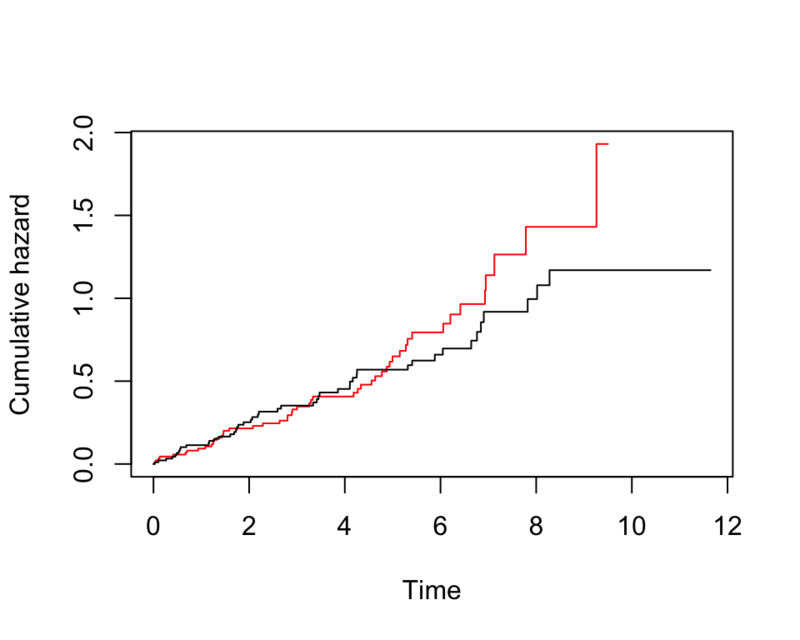 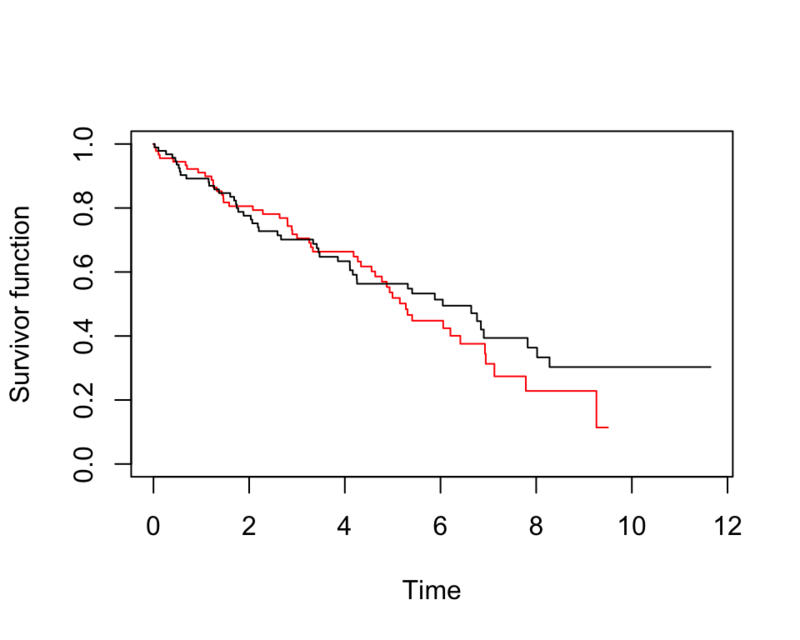 圖 72.1: Men with angina data: Life table estimate of the survivor function. 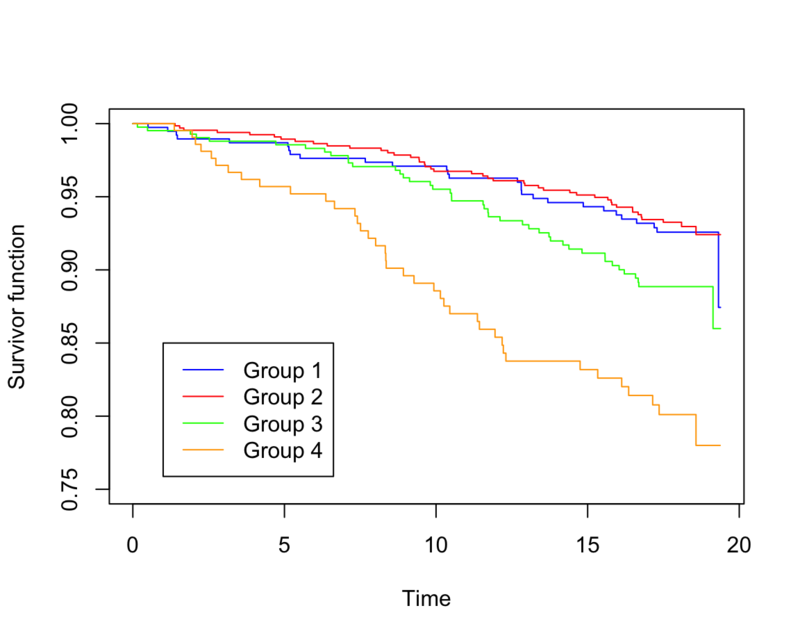 表 72.2: Summary of numbers at risk and number of events at time \(t_j\) in two groups.